The heated oxygen sensor 2 has a much longer switching time between rich and lean than the air fuel ratio (A/ F) sensor 1. The oxygen storage capacity of the three way catalyst (manifold) causes the longer switching time. To judge the malfunctions of heated oxygen sensor 2, ECM monitors whether the voltage is unusually high during the various driving condition such as fuel-cut. To judge the malfunctions of heated oxygen sensor 2, ECM monitors whether the minimum voltage of sensor is sufficiently low during the various driving condition such as fuel-cut. P0138 HO2S2 (B1) (O2 sensor circuit high voltage bank 1 sensor 2) A) An excessively high voltage from the sensor is sent to ECM. B) The minimum voltage from the sensor is not reached to the specified voltage. Let engine idle for 2 minutes. Is 1st trip DTC detected? YES >> Proceed to EC-227, "Diagnosis Procedure". NO-1 ( With CONSULT)>>GO TO 3. NO-2 ( Without CONSULT)>>GO TO 5. Make sure that вЂњCOOLANT TEMP/SвЂќ indication is more than 70В°C (158В°F). If not, warm up engine and go to next step when вЂњCOOLANT TEMP/SвЂќ indication reaches 70В°C (158В°F). Select вЂњHO2S2 (B1) P1146вЂќ of вЂњHO2S2вЂќ in вЂњDTC WORK SUPPORTвЂќ mode of вЂњENGINEвЂќ using CONSULT. Follow the instruction of CONSULT. NG >> Proceed to EC-227, "Diagnosis Procedure". CAN NOT BE DIAGNOSED>>GO TO 4. Perform component function check. Refer to EC-226, "Component Function Check". NO >> Proceed to EC-227, "Diagnosis Procedure". Confirm the detected malfunction (A or B). 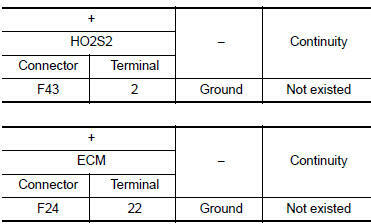 Refer to EC-225, "DTC Logic". Which malfunction is detected? A >> GO TO 2. B >> GO TO 6. Check the heated oxygen sensor 2. 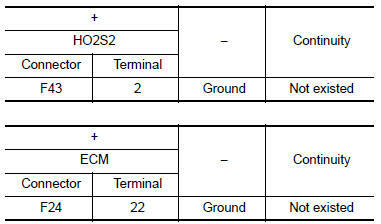 Refer to EC-229, "Component Inspection (HO2S2)". Is the 1st trip DTC P0172 detected? Is it difficult to start engine? YES >> Perform trouble diagnosis for DTC P0172. Refer to EC-250, "DTC Logic".